Priya Kumar is an Internationally Acclaimed Motivational Speaker and Bestselling Author of 10 Inspirational Books. In her 24 years journey with Motivational Speaking, she has worked with over 2000 multi-national corporates across 46 countries and has touched over 3 million people through her workshops and books, and is the only Woman Speaker in India to have done so. She is the only Indian Author who has won 31 International Awards for her books. 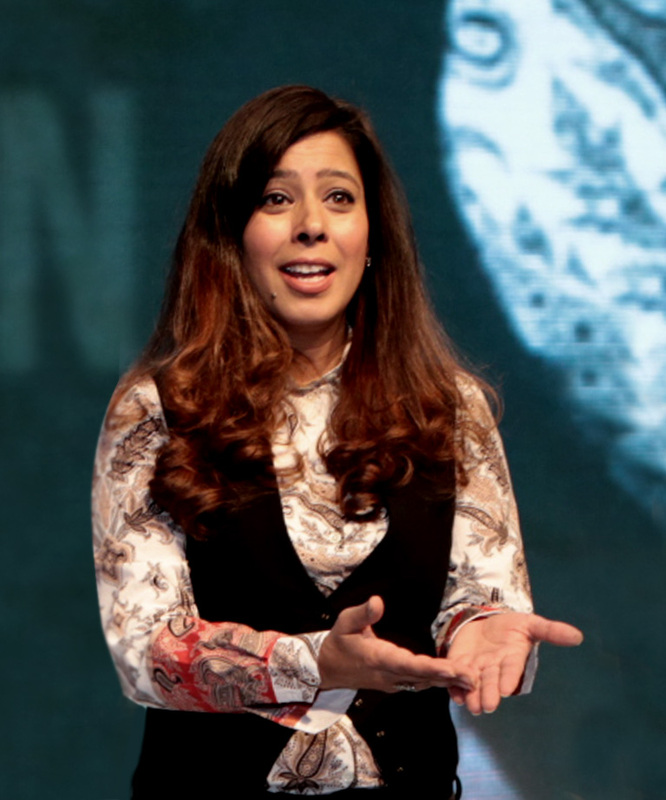 Priya’s fun, relatable, and structured talks have been revered as a modern-day Technology of Achievement, garnering recognition as the best in the industry. Known as The Biography Specialist, Priya is currently penning the official biography of Mr. Pullela Gopichand who is the Olympics Badminton Coach. Priya wrote the biography of Late Shri O.P. Munjal, the founder of the Hero Group and Subhashish Chakraborty, the founder of DTDC, which made it to the most popular biography of 2015 on Amazon. Priya was awarded the Times of India, Speaking Tree, Good Karma Award, as India’s most Inspirational Author. Turned Film Maker and Director, Priya is all set to bring her stories to the silver screen, with “I Am Another You”, her first book as her debut feature film. Priya started working at the age of 13 as a French Teacher and taught over 1900 students over 9 years. She then moved on to Motivational Speaking and started her company Priya Kumar’s Training Systems at the age of 22. Using experiential learning sprinkled with fun, engagement and humour, Priya makes a memorable impact on her audiences. Her workshops are designed for audiences ranging from corporate executives, entrepreneurs, students and as Priya says “for anyone who is committed to making their lives better”. From keynote speeches, to workshops and strategic interventions, Priya is the most sought after name in the corporate industry. Full of passion and energy, Priya treats life as an adventure. Her love for people and her purpose of empowering them to reach for the life of their dreams, is her driving force. I am blessed that my love for people and passion to help is what I do for a living. Actually, in any way that one looks at it, that should be the primary agenda of every business and professional. To motivate, to inspire, to lead, is what drives me because I sincerely believe that there is a far better future that we can make, even when we believe that we are doing our best. To push people to touch that space where magic happens in their performance, where exhilaration meets exceeded expectations, is a job I take to delivery. Priya Kumar, CEO & Chief Facilitator. A World Class Speaker, Priya Kumar has been called upon by Corporate Head Honchos & Leaders of over 2000 Multi National Companies from over 46 countries to Motivate, Empower and Drive their Human Capital towards Excellence, Peak Performance and Go Beyond Limiting Boundaries! A Speaker par excellence, Priya is Fun, she is Relatable and she is the Best in the industry. Breaking the monotony of One-Sided talks and Power Point Presentations, Priya Kumar’s high on Energy, Engaging and Impactful Sessions have always spelled Dramatic and Tangible results for organizations enabling their people to reach the Pinnacle of Success! With her Fun Based Experiential Learning Sessions, Priya guarantees to move your audience to take charge go beyond their limitations and deliver.